WordPress is an online site that helps many people to manage content, build blogs, and websites. It has been around since 2003 and it has been growing rapidly since inception. Almost 25% of all of the websites in the world now use WordPress in one way or another! The great thing about WordPress is that it is free and very easy to use! In 2003, two men decided to develop WordPress after the software company they were working for closed down. Matt Mullenweg and Mike Little decided to make their own online platform and this is where WordPress was born. They worked hard day and night to make their dream happen and on May 27, 2003, WordPress was launched and these two men would never know how big it would truly become! Like many first versions of programs, the 1.1 version was the first to be released for WordPress. This version had many templates that the users could try, but was very basic at the beginning. This gave users an easy start to building blogs and managing content of their own. 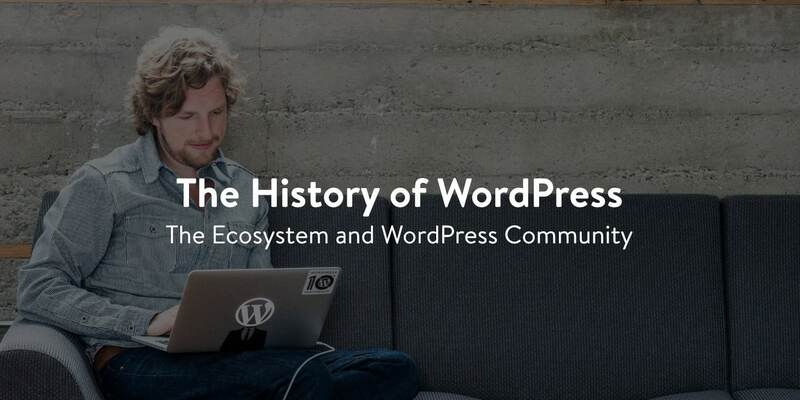 Shortly afterward, the creators of WordPress began to make better and bigger changes. The 1.2 version of WordPress came out in May 2004 and gave users new plugins to change the content they had. This update made WordPress more functional and opened up the site to an entire community. Nothing had been done like this in the whole world of blogging so it made people stop and think about where they wanted to do most of their online work. In December 2005, the 2.0 version of WordPress was released. This version was complete with a new admin board that made managing content even easier. This feature gave users a new way to categorize their content and share with even more people around the world. With different themes as well, WordPress users were excited to use this new version. As more and more users started signing up, the creators knew that they needed to do something exciting to keep this momentum going. In 2013, WordPress saw many exciting changes. Not only were users now able to use it on their mobile phones, but now they had added MP6 technology. This new interface was made so that users could use their accounts on any size screens. This made things a lot easier to download, manage, and write content no matter where they were. WordPress is constantly changing the technology and interfaces on its home site. This is a great way to help users get their content out into the world. As technology continues to change quickly, WordPress will keep up with all of the new happenings around the world.